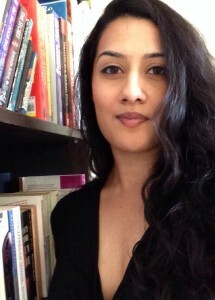 Shaheen Hashmat is a Scottish Pakistani writer, editor and campaigner living in London. She has written widely on her experiences of escaping ‘honour’ abuse and the threat of forced marriage when she was a child, and she also focuses on highlighting the lifelong mental health impact. Her personal blog charts her progress from commenting on general human rights issues, to opening up about her joint diagnoses of borderline personality disorder and bipolar disorder, and eventually deciding to speak out about her early life experiences. Having studied English and creative writing at Brunel University, Shaheen graduated with a first in 2008 and is now working on a memoir, The Hope Stone. She is a contributor to Telegraph Wonder Women, and has also appeared on Radio 4’s Woman’s Hour, BBC Asian Network, ITV London, Reuters and a number of other media outlets. Shaheen is winner of the Iranian and Kurdish Women’s Rights Organisation (IKWRO) True Honour Award 2016. As a result of her increased exposure, Shaheen is contacted regularly by other women and men affected by ‘honour’-related issues. This, combined with an increased understanding of how such abuse relates to wider concerns about immigration and radicalisation, led to the launch of Double Bind, an online platform dedicated to featuring the voices of women with Muslim heritage, aimed at addressing some of the most urgent dilemmas of our generation today. If you would like to know more, or if you have been affected by ‘honour’-related issues yourself in some way, you can contact Shaheen by emailing her at [email protected], or for further support please see this list of organisations that can help.